The jewellery rules are changing, or perhaps 'loosening' would be the best way to describe it. While once it was all about wearing jewellery piece by piece and in matching sets, now we’re seeing a trend for combining multiple pendants, rings and bracelets in a game of mix-and-match, and we like it. It’s all about the overall look when it comes to layering your necklaces, so opt for a combination of pendants on finer chains, without allowing one to stand out more than another. We love wearing Swarovski’s super-elegant Daphne Long Necklace with the shorter Creativity Necklace.While the Daphne Long Necklace features a striking mix of crystal colours and cuts, the Creativity Necklace draws the eye in thanks to its elegant design and the sparkling clear crystal at its centre. Introduce yourself to the trend with a curated set, such as Swarovski’s Delta Ring Set. 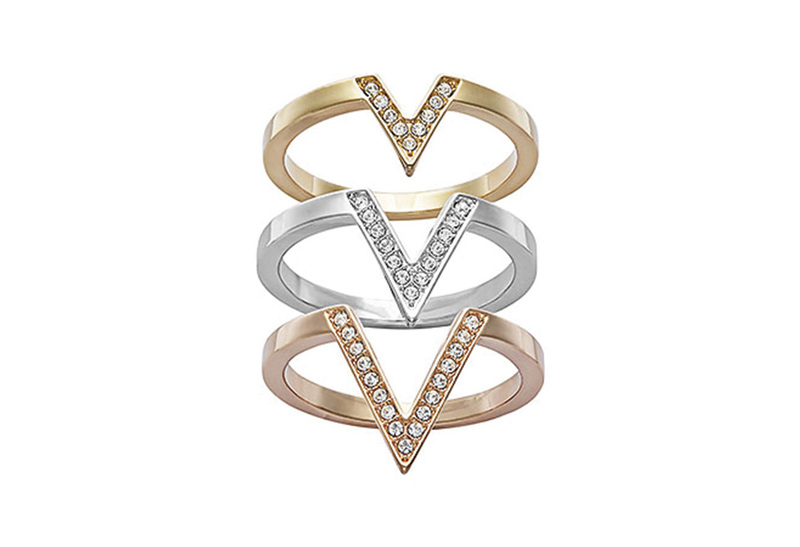 A fun way to start stacking, the trio of rings sees each one boast a different metal tones – yellow, rose and silver – and feature a crystal pavé-set V shape in increasing sizes so that they fit together. Wear stacked or separated across your hands, and don’t be afraid to add in other rings, too. 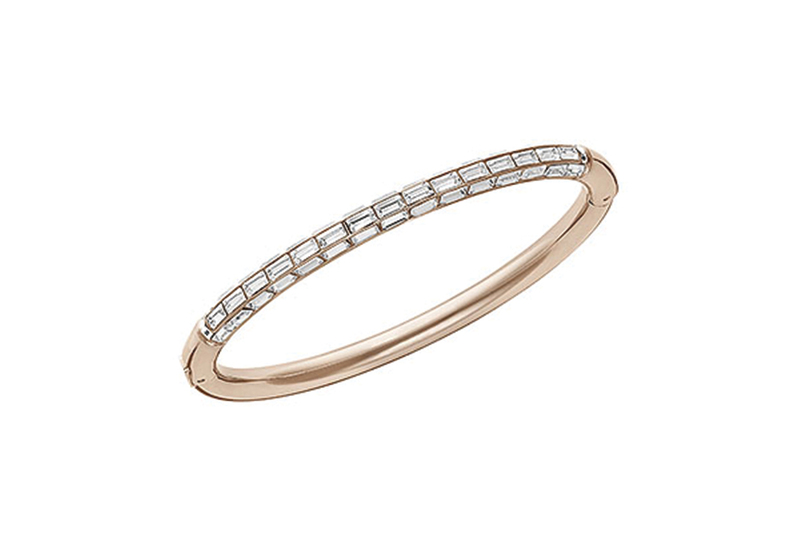 For those who are still unsure, probably the easiest way to get into the mix-and-match trend is with stackable bangles, and Swarovski’s Domino Bangles are perfect for this. Available in three metal tones – SILVER, yellow and rose – each one is set with clear crystal baguettes for added gleam. Pile them up as you please!